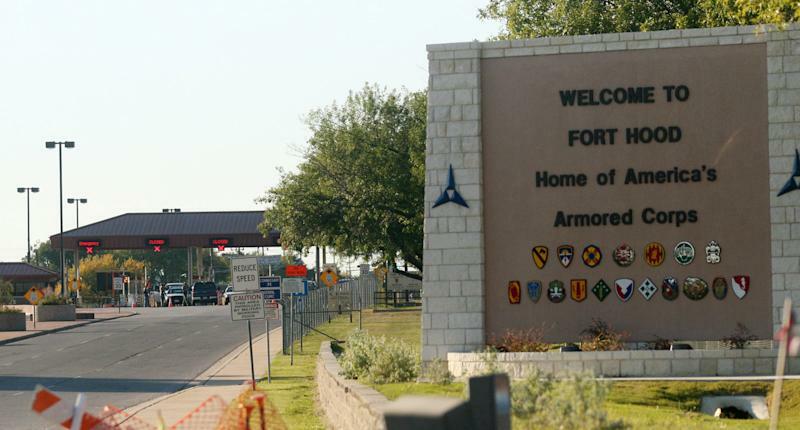 FORT HOOD, Texas (AP) — Fort Hood said Wednesday that a shooting happened at the Texas Army base and that injuries have been reported. The base confirmed the shooting in a brief statement posted online Wednesday. The statement also said emergency crews were on the scene and that further details were not yet known. The Bell's County Sheriff's Office dispatched deputies and troopers from the Texas Department of Public Safety to the nearby post after receiving reports of an "active shooter," sheriff's Lt. Donnie Adams said. FBI spokeswoman Michelle Lee said its agents were also headed to the scene. The base was the scene of a mass shooting in 2009. Thirteen people were killed and more than 30 wounded in what was the deadliest attack on a domestic military installation in history. On its Twitter feed and Facebook page, Fort Hood on Wednesday ordered everyone on base to "shelter in place." The 1st Cavalry Division, which is based at Fort Hood, sent a Twitter alert telling people on base to close doors and stay away from windows. White House spokesman Josh Earnest said the president has been informed of the reports of a shooting at Fort Hood and will continue to receive updates as he attends a pair of Democratic Party fundraisers in Chicago. Defense Secretary Chuck Hagel also has been informed of the shooting, said Navy Rear Admiral John Kirby. According to testimony during Hasan's trial last August, Hasan walked inside carrying two weapons and several loaded magazines, shouted "Allahu Akbar!" — Arabic for "God is great!" — and opened fire with a handgun. The rampage ended when Hasan was shot in the back by Fort Hood police officers outside the building, which left him paralyzed from the waist down. Hasan is now on death row at the military prison at Fort Leavenworth in Kansas. After that shooting, the military tightened security at bases nationwide. Those measures included issuing security personnel long-barreled weapons, adding an insider-attack scenario to their training, and strengthening ties to local law enforcement, according to Peter Daly, a vice admiral who retired from the Navy in 2011. The military also joined an FBI intelligence-sharing program aimed at identifying terror threats. In September, a former Navy man opened fire at the Washington Navy Yard, leaving at least 13 people dead, including the gunman. After that shooting, Hagel ordered the Pentagon to review security at all U.S. defense installations worldwide and examine the granting of security clearances that allow access to them.